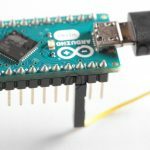 Arduino Leonardo refused to accept a new sketch once a very large one was uploaded (code / memory). The board would hang just after the upload started (and power cycling it did not fix the problem). 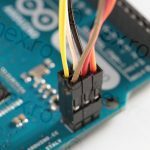 Since I found no tutorials online how to use an Arduino Micro as an ISP (since I had one lying around), I’ve decided to investigate the if a Leonardo can be used as an ISP, given that Micro is similar to it and both have ICSP connectors. 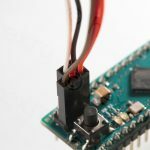 As explained in the first link above, Arduino IDE (at the time my version was 1.6.9) still cannot use an Arduino Leonardo (and I assumed also a Micro) to burn the bootloader to a different board because the protocol it chooses locks up the controller that does the flashing. The first hurdle was to locate which programmers.txt file to use. My setup had two, one in c:\Arduino\hardware\arduino\avr\programmers.txt and another one in c:\Users\Root\AppData\Local\Arduino15\packages\arduino\hardware\avr\1.6.11\programmers.txt. The lines should be added after the lines defining Arduino as ISP. 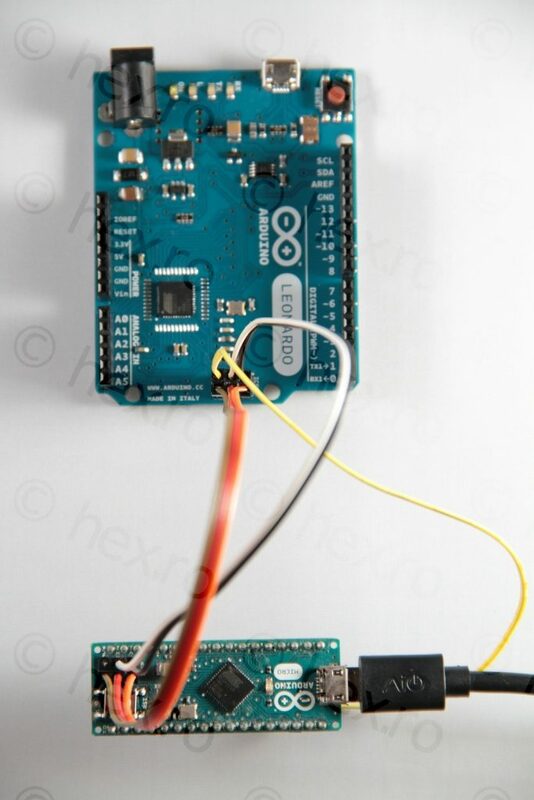 The difference between this entry and the Arduino as ISP is that the protocol is arduino instead of stk500v1. 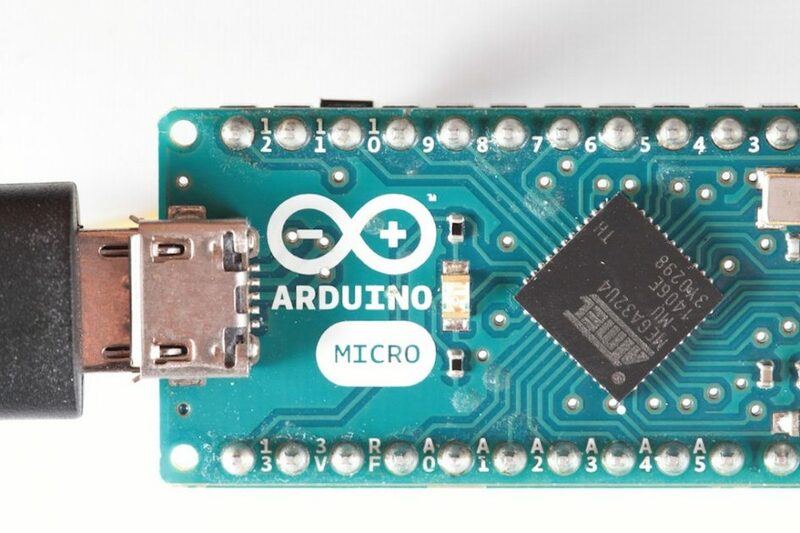 The name Arduino as ISP (Micro/Leonardo) was chosen not because it is using a Micro to flash a Leonardo but because the same configuration can be used for an Arduino Leonardo to flash a different Arduino Leonardo. 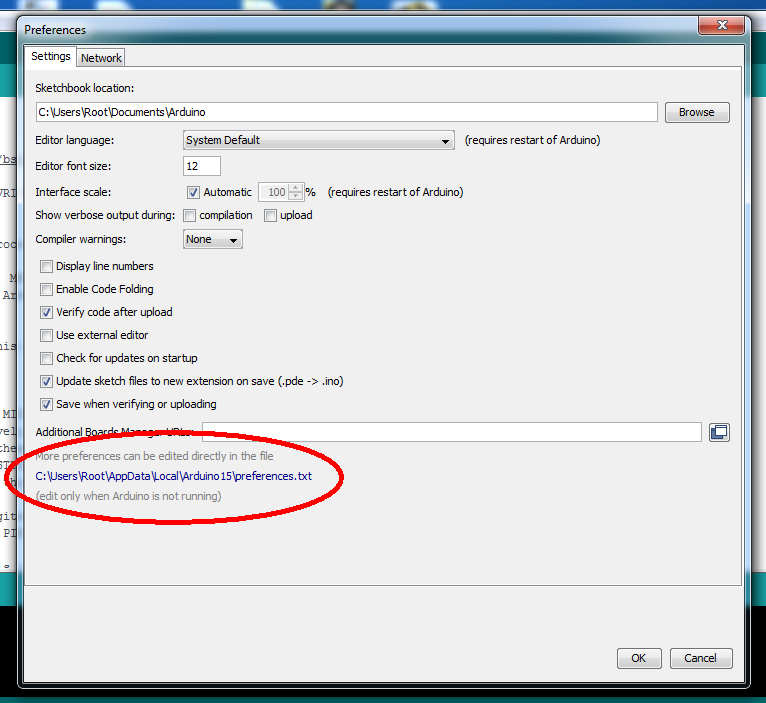 Arduino IDE has to be restarted after these changes and a new programmer has to appear on the Tools > Programmer menu. Only the Arduino Micro is connected to the PC since the Leonardo stays connected (and is powered) by the Micro through via its ICSP port. 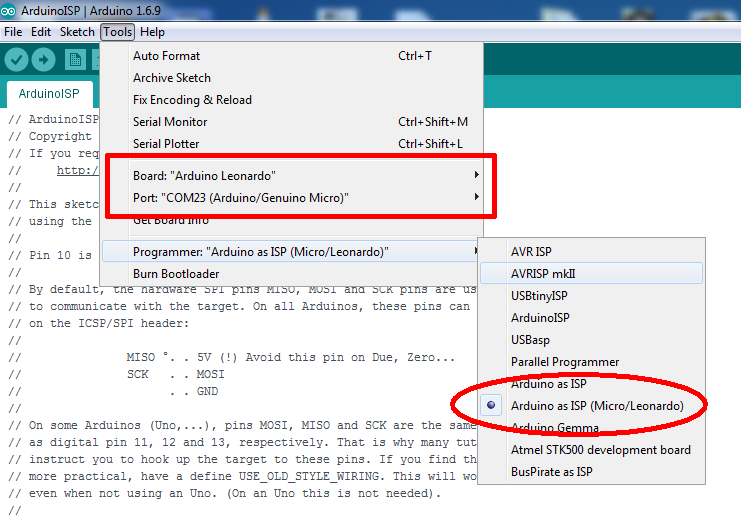 Step 3 – flashing the ArduinoISP sketch on the Arduino Micro. No modifications were required to the file. 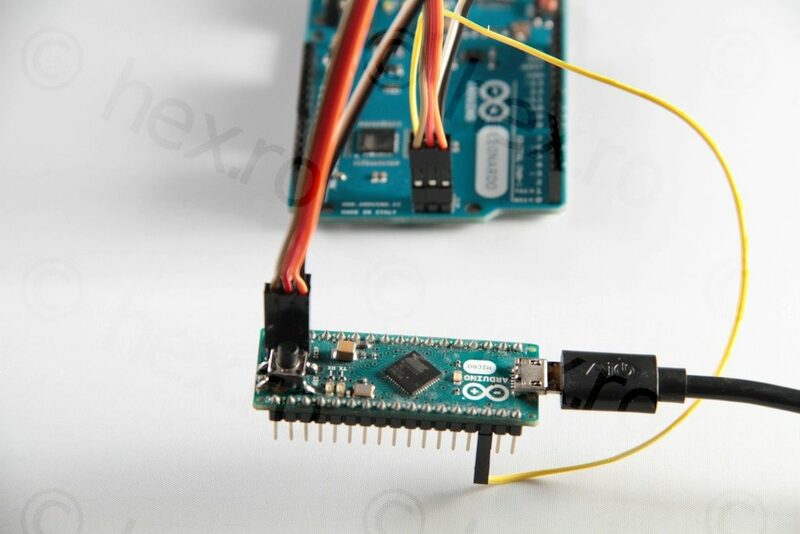 Board should be the one board that the bootloader is being written to – that is Arduino Leonardo. Port should display board that is writing the bootloader – that is Arduino/Genuino Micro. The last step is to choose Tools > Burn Bootloader. This will take about a minute, and if flashing is successful, Leonardo will start the Blink code (which is also written by default) and the ‘L’ LED will blink every second. If the ‘L’ LED blinks the everything went ok!